It’s easy to think the world is headed for disaster, and we can’t stop it. Ask those who suffered through the intense heat wave that hit California and the wildfires that came along with it. Ask those who removed a garbage truck stuck in (not “on”, but “in”) a road in England when their heat wave melted the asphalt. Ask people in Norway and Sweden what it’s like to be plagued by massive wildfires in the Arctic no less. Ask the people of Houston what it’s like to suffer through a once-in-500-years flood three years in a row. Ask folks in Puerto Rico what a hurricane can do, especially when your own government fails you. Ask Russian wheat farmers what it’s like when a heat wave destroys 1/3rd of your wheat crop. Ask Europeans how it feels when a heat wave kills 70,000 people. Ask the victims of Hurricane Sandy, and Harvey, and Irma, and Maria what all that extra storm surge from sea level rise means to their homes, their property, their lives. Ask Miami how much it has spent already to fend off the damage from flooding due to sea level rise without a storm, without rain or wind, just from high tide. Ask the United States Navy what sea level rise means to the largest naval base in the world. As bad as things have been, this is just the beggining, just a “shot across the bow.” Temperatures are going to get hotter. Both flood and drought are going to get worse. Storms damage is going to increase. The sea itself will rise. This is just the beginning — it’s going to get worse. And worse. It’s easy to get depressed about it all. It’s not like we weren’t warned, it’s not like we didn’t know. In reality, the greed and lies of profiteers, and the power of money to pay off politicians to deny reality, has made things as bad as they are. All of which can make you think we’ve brought this on ourselves, that it’s too late, that pain and suffering is our fate because we’ve brought it down on our own heads. And this is just the beginning; it’s going to get worse. It’s easy to think the world is headed for disaster, and we can’t stop it. Too easy. This entry was posted in climate change, Global Warming. Bookmark the permalink. Heartfelt and right. Thank you for your ongoing contributions. 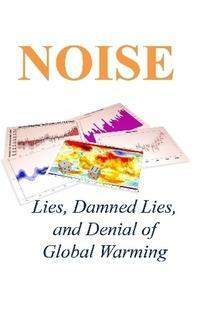 I have years of comments on various blogs stating the global warming facts as you state them. I have hoped for years that others would wake up to the alarming situation that we have produced. I have mainly gotten slammed as being an alarmist, as making things out as worse than they really are and I have seen insufficient understanding and action on the part of the generations that control the production of CO2 and CO2e. I regularly apologize to younger people for the mess they are aging into. I don’t know if the current generation of young people can alter the course of human economies and industry around the globe and change the course we are on. I hope they can and will, but I am not confident about that. Despite all that, I do not feel hopeless about the predicament we find ourselves in. I think there are emerging technologies – driverless cars as just example – that might eventually help us get to a zero rate of increase. But who knows? We may also see a global economic slowdown or series of collapses that reduce emissions and increase global human mortality in a way that will be good for the planet in the long run. Ugly in the moment, helpful in the long term. Regional conflict and climate refugees related to AGW are on a parallel track with the slowdowns and collapses. Look at Syrian migration for how that will look. Again, despite all that, I do not feel hopeless. I am astonished and grateful to have mysteriously sprung into existence and consciousness in the universe. I relate primarily to the planet and the universe as a surprised spark of consciousness with the remarkable ability to perceive the miracle of consciousness. This planet has a history of great extinction events that have wiped out many, many species. Our species is not special in a way that makes us immune from extinction events, but we are indelibly connected to and part of a remarkable planet where complex life has developed. What a gift! The planet appears to make a recovery from a great extinction event in about ten million years. It’s a wonderful and amazing planet. So, yes. Raise the alarm. Thank the young folks and apologize for our part in the predicament they face, but remember to share with them that it is a wondrous thing to be alive and conscious. Do something good with that if you can. But be grateful first and foremost. A friend of mine was fond of saying, “there is no can or can’t, there is only will or won’t” – I think that applies to our choices today. …and thanks to all the commenters who ‘fight the good fight’ and don’t give in. Yes I do believe there is hope. Change is coming as more and more homes add solar and more people move to much cleaner electric vehicles. I am about to publish a book “Drive to Net 0 – Stories of Hope for a Carbon Free future”. Yes we have been warned, and now we have the tools to act. I started down this path as I thought it would be near impossible to cut fossil fuel use by 80% or more. After several years of progress, we have cut our fossil fuel use by 85% and I still see ways to continue to reduce it. And fortunately I am far from alone.